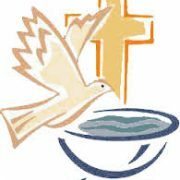 The next baptism course will take place on Wednesday 7th and 14th November 2018. The next Baptism Course will take place on 25th January and 1st February 2017. These are held in the Parish Centre from 7.15pm – 8.30pm. You need to attend both sessions. Please contact the office on 01325 266602 or email us info@staugustineschurch.org.uk if you wish to attend.